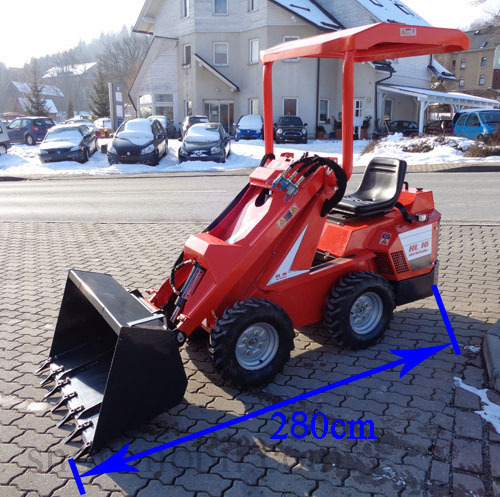 7.999,00 EUR 19 % VAT incl. 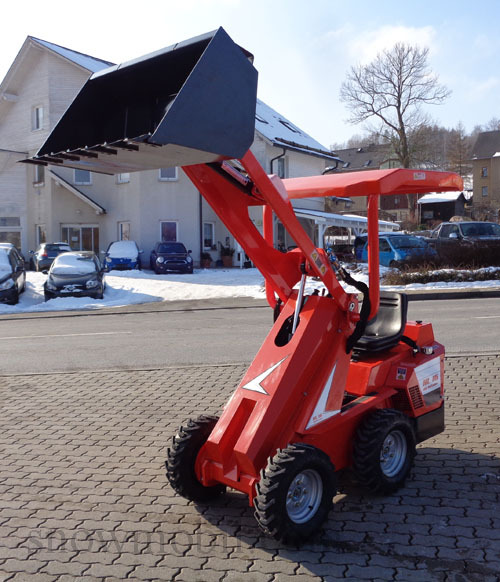 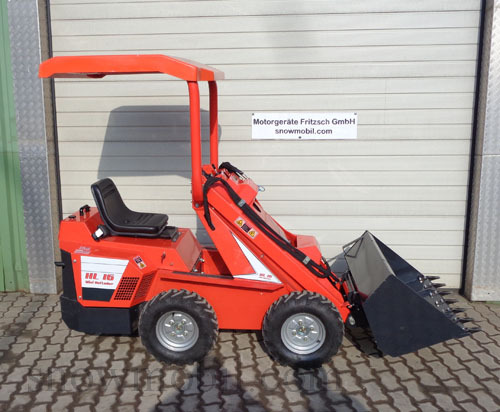 The Mini compact loader HL16 is a small, agile, efficient and affordable all-wheel drive multi-function loader. 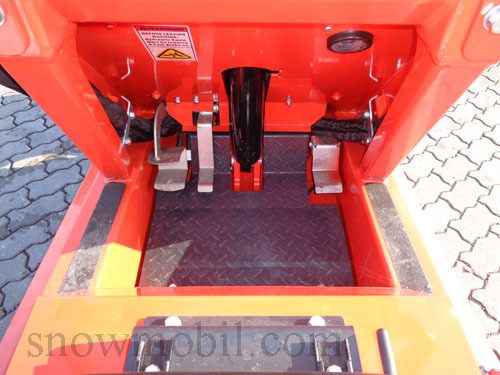 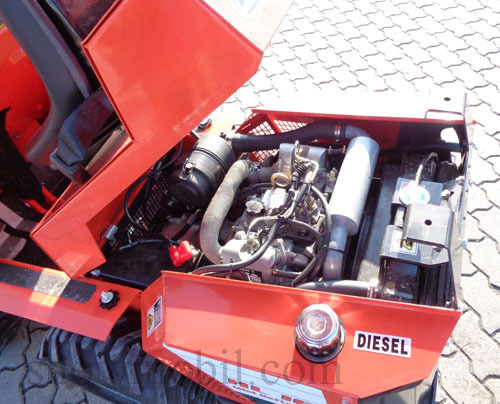 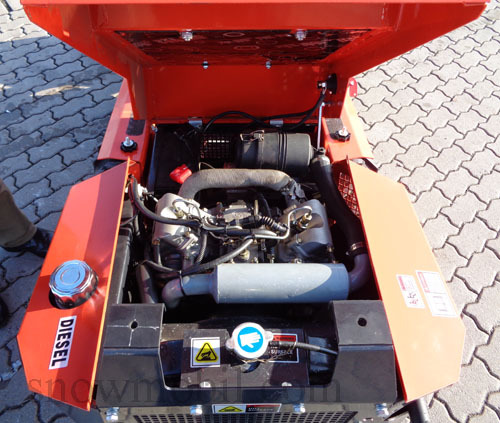 This loader is equipped with a tank steering and has a 2-speed hydrostatic transmission. 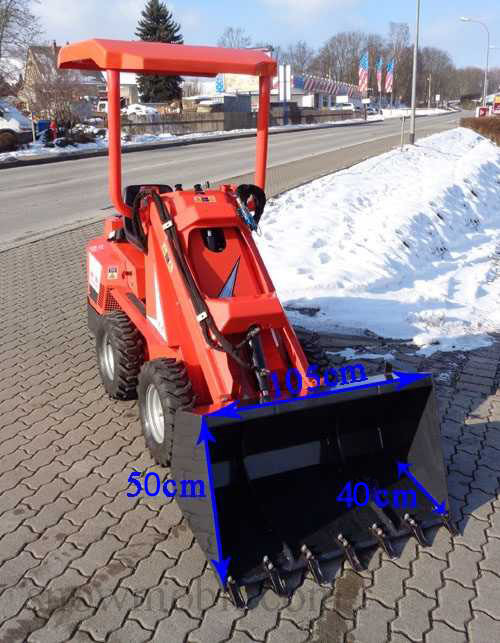 It can be used for mucking and for site clearance of snow but also for work in gardens, parks and cemeteries. 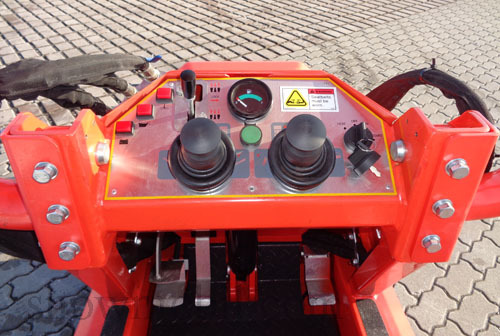 The running speed and the steering can be controlled by means of the two joysticks. 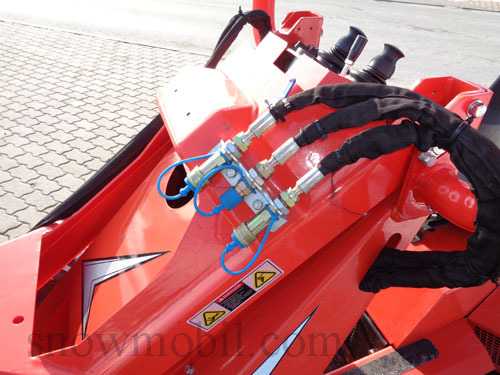 An auxiliary hydraulic is standard. 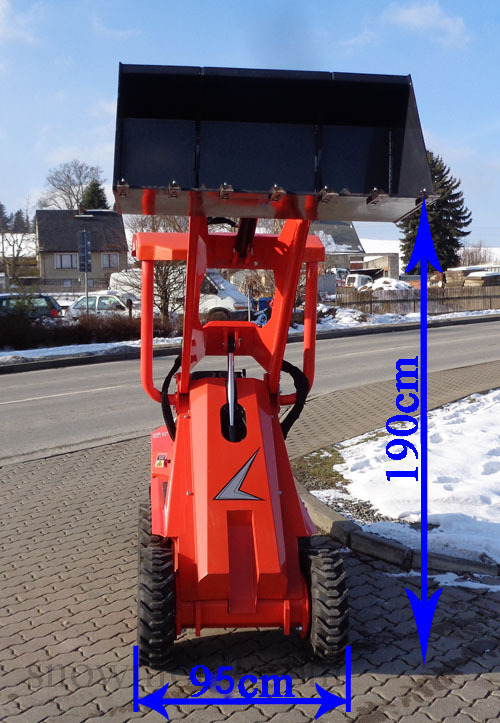 For your safety, it is recommended to mount rear weights. 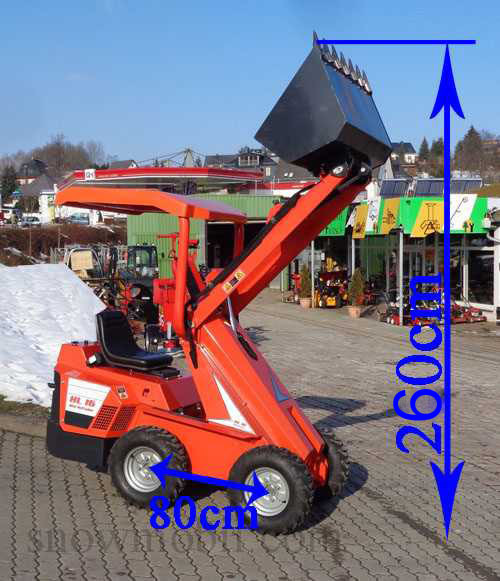 The maximum capacity is according to manufacturer 500 kg. 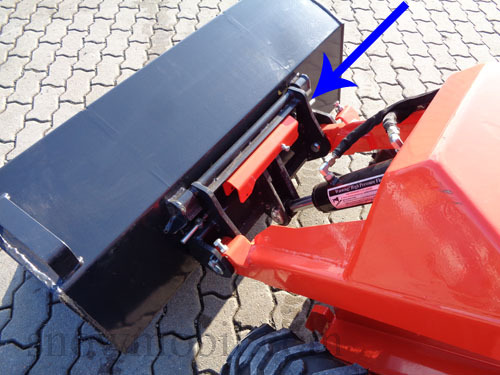 But in addition, it is recommended to mount appropriate rear weights. 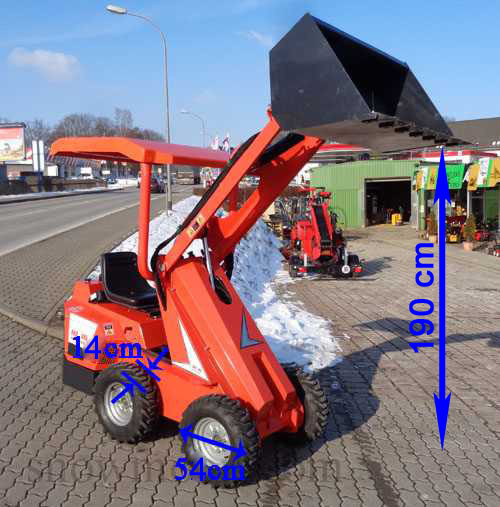 The lifting of loads should only be on flat terrain. 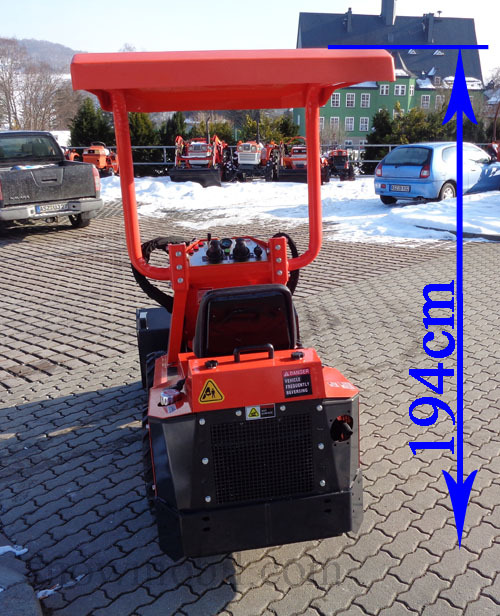 Due to its low wheelbase and its small width it is to be used solely on flat ground.